What pianos do you recommend if I have a budget between $3k and $7k? In this price range, you have a lot of choices. First thing first, I do not recommend you buying a digital piano in this price range, so let’s put that to rest. Categorically speaking, you have 3 good options and 2 bad options. You should also read my previous article which has some tips on evaluating used acoustic pianos. 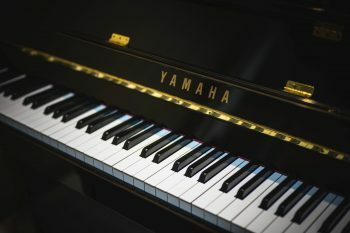 Used Yamaha U series or Kawai K series: Used Yamaha U series (U1 and U3) and used Kawai K series (K300, K500, & K800) are the best selling pianos in this price range. 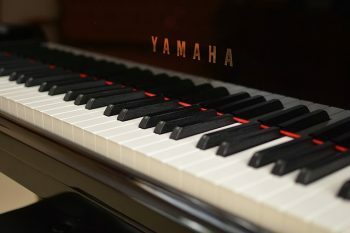 You can visit any piano dealer and I guarantee you will find at least one used Yamaha U1 for sale. Yamaha U series and Kawai K series are the professional line of each brand and these pianos are known to be consistent and reliable. Plus, they can be sold quickly and keep value well. If you want to a good piano with reliable quality and good resale value, go no further. Just find a used Yamaha U series or Kawai K series piano that you like and call it a day. Hailun HU5-P: Chinese pianos have come a long way in the past 30 years and Hailun is one of the best-known Chinese piano brands. Hailun has won many international piano trade awards in recent years. This piano is highly recommended by professional reviewers. I have never played a Hailun vertical piano, so I don’t have personal experience to share. Ritmüller UH-121RA: Ritmüller is a higher-end brand owned by the biggest Chinese piano manufacture Pearl River. Pearl River/Ritmüller has also won quite a few piano trade awards in recent years. While Pearl River and Hailun have similar market share in the U.S. market, in Chinese local market Pearl River brands are more popular than Hailun. Perzina GP-122: Perzina is another Chinese piano brand and their pianos are known for floating soundboard and very good sound. It is a much smaller company compared to Hailun and Pearl River. I personally have had a bad experience with a Perzina grand piano but I do love the sound and action of their vertical pianos. WM. Knabe WKV132MD: Last but not least is this piano made by Samick Music Corp. of South Korea. (Note: “Knabe” is pronounced using the hard K sound followed by “nobby.”) I have played this piano and I am impressed by its tone and touch. Used baby grand piano larger than 5’3″: At this price range, you will likely find a few new and used grand pianos for sale. Baby grand is a term used to describe the smaller size grand pianos. Generally speaking, baby grands are grand pianos shorter than 5’5″ (165 cm). In my opinion, you should not buy a grand piano that is smaller than 5’3″ (160 cm). 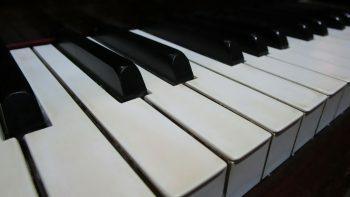 Now, you will find endless debates on the advantages versus disadvantages of baby grands in comparison to vertical pianos, but the general consensus is that grand pianos shorter than 5′ (152 cm) are acoustically compromised and perform no better than regular size vertical pianos (48″ or taller). New grand piano: In this price range, if you are going to buy a new grand piano, you most likely will only find grands that are smaller than 5′, aka baby grands. Occasionally, you may find new Korean or Chinese grands larger than 5’3″ for sale at the top of this price range. If you have to buy a new grand piano, please buy one that is at least 4’10” (148 cm) long. Used Korean and Chinese pianos: If you have $3k to $7k to spend, you can buy a new Korean or Chinese vertical piano. No need to buy a used Korean or Chinese vertical piano unless you find one in like new condition with huge discount. Note: The reason I put metric unit along with Imperial unit in the size measurement is because most pianos are measured in metric unit. This is one of the articles in a series called “Piano Buying Guide for Parents of Young Students“. You can find other articles of the series through this link. What pianos do you recommend if I have a budget between $1k and $3k? At this price point, you begin to see some serviceable used vertical (upright) pianos. In my opinion, digital pianos are still the better options in this price range, but if you insist on buying an acoustic piano you should be able to find a decent one if you are patient. Let’s talk about digital pianos first. Yamaha Arius YDP-184 is one of the best-selling digital pianos and it is a great choice for most families. We have an earlier model in our house too. It costs around $2,200 (July, 2018). Roland DP603 is another good offer from Roland. It costs around $2,400 (July, 2018). 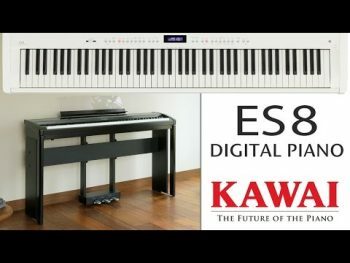 Kawai ES8 is highly recommended by professional reviewers. It costs around $2000 (July, 2018). Again, I would avoid other digital piano brands in this price range unless you really can’t find anything you like in the 3 major brands. This is also the top price range I would spend on a digital piano unless you are ready to jump to hybrid pianos, which will cost you a lot more. Do NOT buy a “spinet” piano.” Most acoustic pianos you will find in this price range are small vertical pianos. When buying an acoustic piano, the general rule of thumb is that the bigger the better. Smaller pianos are compromised in both sound and action. Among the worst of them is so-called spinet pianos. Spinet pianos were made primarily for decoration purpose in the mid 20th century. Generally speaking, you should never buy a vertical piano that is shorter than 40″ height. Be wary of pianos that are older than 30 years. As I stated earlier, the typical life span of acoustic pianos is 50-60 years. Piano that are older than 30 years old are on a downward spiral. Piano strings put a lot of stress on piano frame and soundboard. It doesn’t matter if the piano has been played often or just left in the corner of the house. Acoustic pianos are going to deteriorate over time no matter what. Do NOT buy a piano without actually seeing and playing it. There are more and more people and dealers selling their pianos online and promising free shipping. No matter how tempted you are, do NOT buy an acoustic piano without actually seeing and playing it. There are potential problems in acoustic pianos that you cannot detect in a video. This leads to the next point. Measuring tape – As I said earlier, it is important to know how tall a vertical piano is (the taller the better). It is also important to measure the exact dimension of the piano and make sure it can go through your house’s doorway and fit into your desirable location. Camera: You can bring a camera or use your cell phone’s camera. Other than taking pictures of the piano exterior and interior, it is very important to take a picture of the serial number of the piano. Every piano has a serial number and you can find out the age of the piano by checking the serial number. In my experiences, at least two-third of private piano sellers would lie about the age of their pianos. Do NOT take the word of the seller; check it yourself. If you can’t find the piano serial number online, call piano dealers in your town and ask if they have a copy of “Pierce Piano Atlas”, which has serial numbers of all pianos that have ever been made. Flashlight: If you watch the video above, you will learn how to open the bottom board. If you see cracks, water marks, or mouse droppings, that tells you something about the piano and its environment. 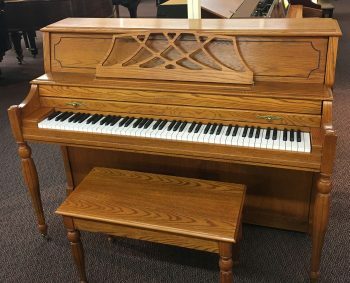 Older used vertical pianos from established brands: In this category, you are likely to find 20+ year-old pianos from Yamaha, Kawai, and Baldwin. Generally speaking, pianos built by these brands (including Baldwin before it was bankrupted and sold) are of very good quality and I would recommend this category over the next one. Newer used vertical pianos from Korean and Chinese brands: In this category, you are likely to find all kinds of used pianos from Korean and Chinese brands. There are too many of them but the most famous brands are Samick, Young Chang, Pearl River, Hailun, Perzina, and Weber. The quality of these pianos depends on the condition and you have to evaluate each piano with its own merit. Buying a used piano in this price range takes time and patience. It is unlikely you will find a perfect piano in this price range: some of them may have cosmetic damages and some of them may have been neglected for a long time. The most important thing to remember is to evaluate each piano individually and don’t rely solely on brand recognition. With patience and efforts, you should be able to find a decent vertical piano in this price range. One more thing, don’t forget to include moving cost and piano tuning cost into your negotiation with the seller/dealer. What pianos do you recommend if I have a budget of $1,000? If you have a budget of $1,000 or less, your best option is to buy a digital piano. As I stated in the free piano question, free and low-cost acoustic pianos tend to have hidden cost that is not listed in the ad. At this price point, you can get a decent new digital piano or a very old and neglected acoustic piano. Which one would you choose? Roland FP-30 is highly rated by professional reviewers and online shoppers. It costs around $700 (July, 2018). Yamaha P-125 is cheaper than Roland FP-30 but is also a very good entry-level digital piano. Choose either Roland FP-30 or Yamaha P-125 that feels right to you. 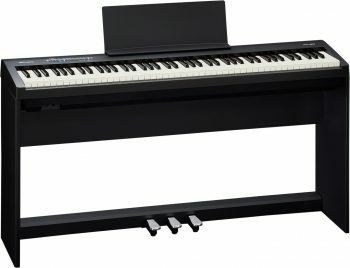 Yamaha P-125 costs around $600 (July, 2018). At this price point, I would avoid other digital piano brands such as Alesis and Casio. Casio’s digital pianos receive very good reviews online, but personally I can’t stand the sound of Casio digital pianos. I find Roland and Yamaha digital pianos sound more like real acoustic pianos. What are the rule of thumb for buying a used acoustic piano? When buying an acoustic piano, most of the time you get what you pay for. I am not saying that there is no bargain to be had, but most piano bargains you find on Craigslist or other classified ad sites are purely junks. Good piano bargains are quickly grabbed by dealers and piano re-builders. Hunting a piano bargain takes time and you must be knowledgeable about pianos and are willing to travel. What I am saying is don’t expect a $3,000 piano to sound and play like a $30,000 piano. Don’t fall into piano dealers’ selling tactics. Piano dealers have a reputation no better than car dealers, and they both utilize psychological tactics to push for sale. Remember this: pianos are always for sale but never on sale. The big selling event that ends tonight will still be there next week and next month. Unlike cell phones or cars, each acoustic piano has its own characteristics. No two acoustic pianos play and sound exactly the same even within the same brand and the same model. Therefore, it is very important to try out the piano before you buy and only buy the piano you have tried. Generally speaking, when buying an acoustic piano, the bigger the better. There are some exceptions, but those exceptions tend to be very expensive. If you are buying a vertical/upright piano, it is recommended that you buy one that is 48″ or taller. If you are buying a grand piano, it is recommended that you buy one that is at least 5’5″ (165 cm) long. This is only a recommendation, not a law. Do not buy a vertical piano that is shorter than 40″ height or so-called spinet piano. Do not buy a grand piano that is shorter than 4’10” (148 cm). Pianos are not hot-selling items. The piano you fell in love with at the dealer’s shop will still be there tomorrow and possibility next week. It is okay to sleep on the decision but don’t wait too long. Generally speaking, it is better to buy a used acoustic piano from a piano dealer or professional piano technician than from individuals. Most piano dealers and professional piano technicians will make repairs and tune the pianos for sale and they offer warranty between 1 to 10 years for used pianos bought from them. If you decide to buy a used piano from an individual, it is highly recommended that you hire a professional piano technician (find a professional piano technician here) to check out the piano before you buy. Don’t forget to include the cost of piano moving and piano bench in your negotiation. If you buy from a piano dealer or piano technician, you can also ask for one-time free piano tuning. If you buy from a piano dealer or piano technician, the seller will usually arrange the delivery. If you buy from an individual, please hire an insured professional piano mover to move the piano. Do not hire a regular moving company to move the piano. If you plan to buy a digital piano, I would recommend you buy new. As I said previously, digital pianos need no maintenance but it is also irreparable when they break down. Instead of saving a few hundred dollars buying a used digital pianos that may break down at anytime, you should just buy a new one with manufacturer warranty. Acoustic pianos are a different story. Because acoustic pianos are made of wood, steel, and wool, a qualified piano technician can repair any acoustic pianos regardless of the brand. There are also piano rebuilders who take old pianos and make them like new again though quite expensive. Generally speaking, you will find better deals in used pianos than new pianos. New pianos, like new cars, tend to lose their values more sharply in the first few years. The challenge of buying a used piano is to evaluate the piano and know what to avoid. I will address the tips for buying a used piano in the next question.